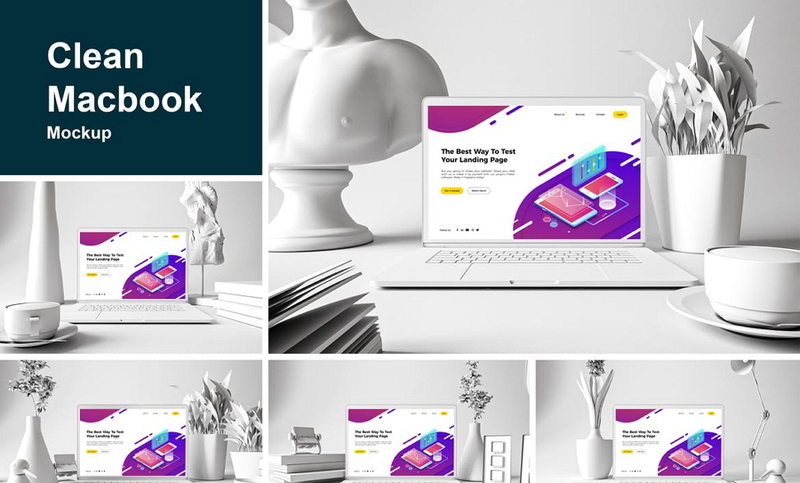 25 best free clay/flat/white/dark MacBook mockups and templates in PSD and Sketch formats are introduced for you to create perfect web/portfolio designs. A good screen mockup in PSD or Sketch format helps designers and marketers make professional and attractive websites, portfolios and ad designs with simple clicks. However, searching for the perfect free laptop screen mockup can be time-consuming. If you are looking for free computer screen mockups especially for Macbook laptops to create a stunning web/app/portfolio advertising design, then, look no further. This MacBook mockup example is a realistic mockup which is perfect for designers wishing to showcase their Mac OS website designs. 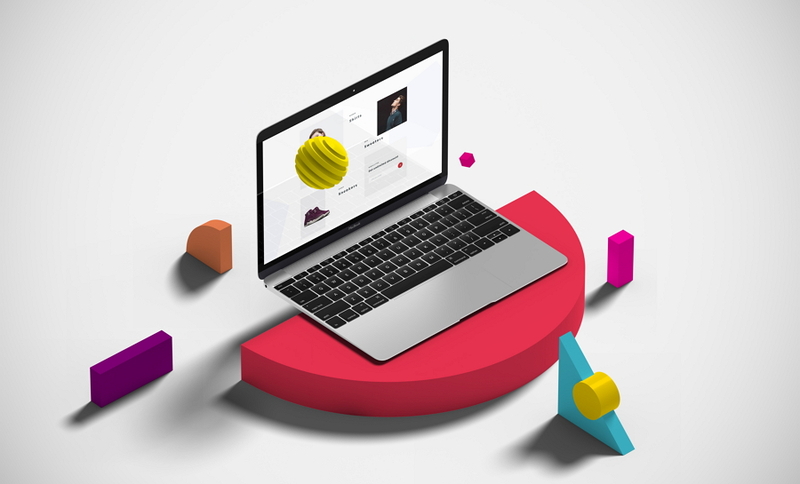 It is created in Cinema 4D, which makes it the perfect choice for users seeking a very beautiful and fashionable screen mockup to showcase their websites or portfolios. This is a clean and free flat Macbook mockup template that allows designers to stylishly present their designs. Everything is editable and well detailed, allowing users to build their website/portfolio based on their own liking. A set of iMac, iPhone, iPad and MacBook clay mockups in black and white is packed in this mockup sample. It is carefully crafted and fully editable with smart reflections. It offers users both PSD and sketch formats for a better UX. This is a high quality, realistic Macbook pro office environment mockup design. 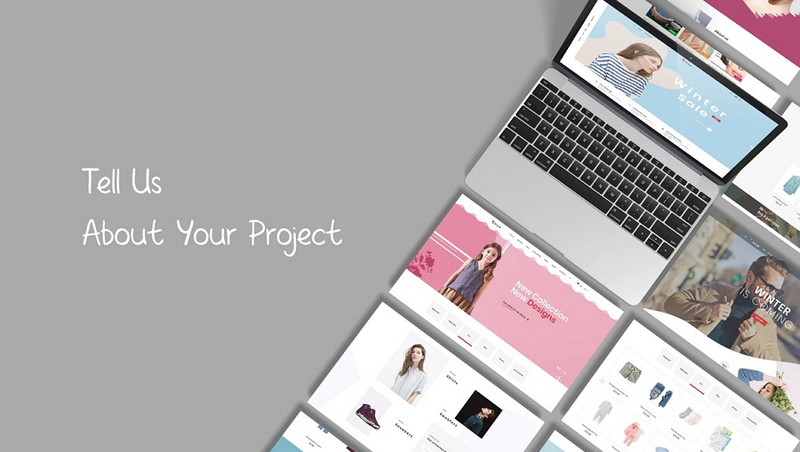 With this mockup, designers can freely replace images on the screen and edit any layer based on their web/portfolio design needs. It is perfect for showcasing portfolio or website design projects. This fancy free Macbook mockup sample is a clean and beautiful way for you to showcase your design projects. It features 3 color variations, raster backgrounds and editable screens with smart objects. This free mockup template includes 50 items and 8 PSD files for designers. All objects and shadows are designed on separated layers. Users can fully customize these templates based on their design needs. It also features editable background colors and a PDF format Help file. 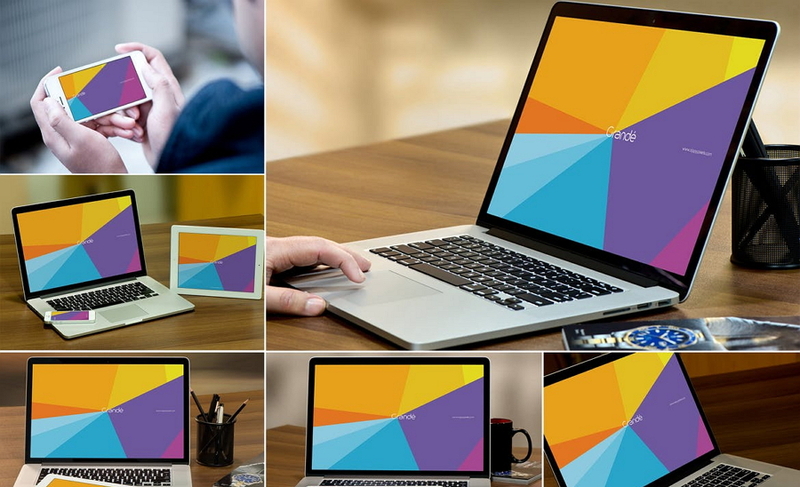 With this realistic Macbook mockup, users will get 10 PSD mockup files with smart objects. They all are designed from different angles. Most of the objects, shadows and background are separated and editable. The mockup colors can be also adjusted, if necessary. This Macbook mockup example is ideal for creating MacBook website presentations. It features separated objects and shadows. It should be noted that this mockup is partially free, with some premium features, requiring users to pay. Download this free Macbook mockup and enjoy its editable Touch Bar as well as smart objects. Its 3d effects are another great reason to choose it. 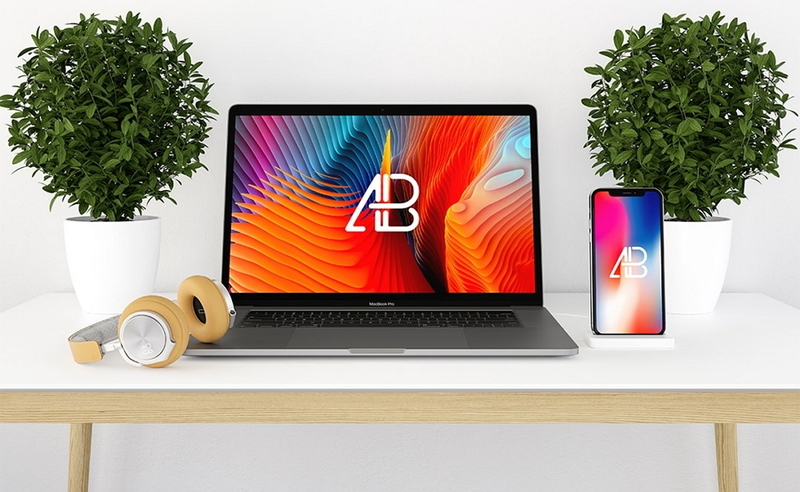 This Macbook mockup features a realistic indoor environment, helping create a professional look for your website design. It provides smart object layers that allow users to change the objects with simple clicks. This is a Macbook mockup on a home office desk, and features smart layers. It is free for personal and commercial use. 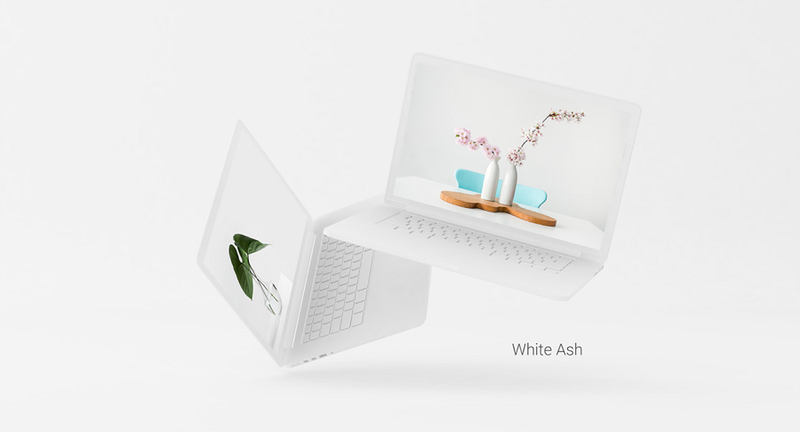 This a white Macbook mockup in sketch format features a minimal, subtle and clay render style. It is free for everyone. 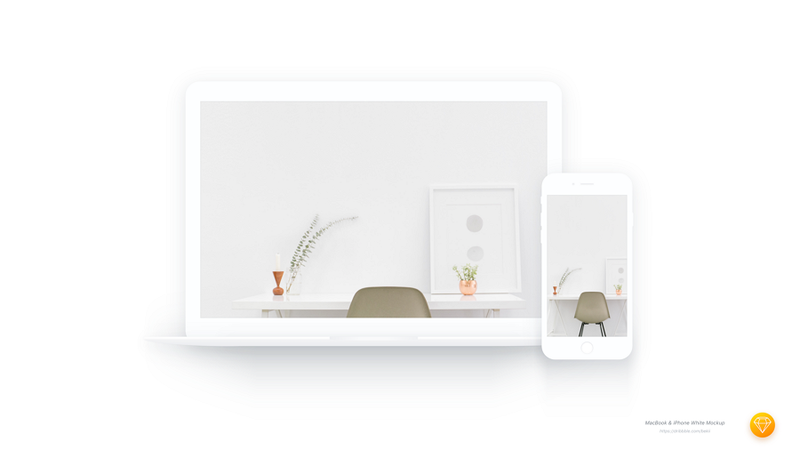 This is a super clean white Macbook and iPhone mockup template in Sketch format. This MacBook mockup pack allows designers to easily combine their designs into a perfect realistic photo showcase. It offers 6 PSD and 6 JPEG files for users to freely beautify their web/app/portfolio designs. If you are a newbie, its Help file is a good guide to help you improve your designs. 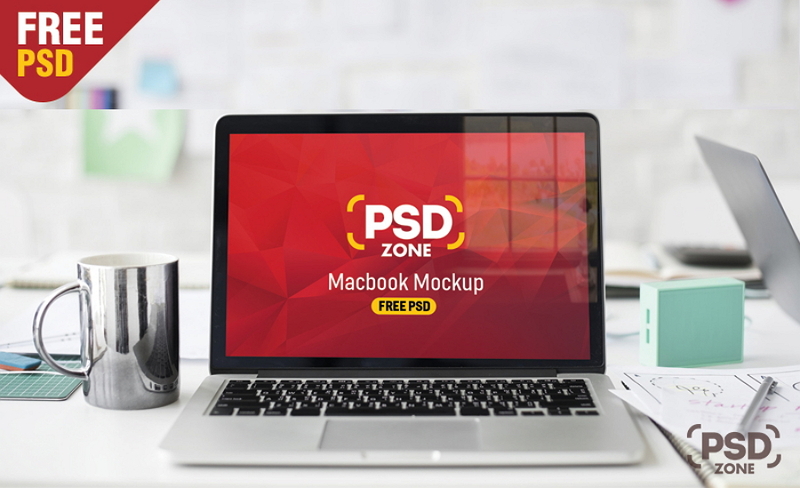 This bundle of Mockups includes 6 PSD Macbook mockups and 4 PSD iPhone XS mockups. It features an isometric design style and rich default colors, including white, black, gold, rose, red, etc. Of course, users can further customize the color if they wish. This mockup design pack includes 15 high quality PSD files and allows designers to create realistic and professional web or application designs quickly. It is packed with mockups of different angles, so you can adjust and showcase your designs in beautiful ways. This Mockup includes 6 PSD files with smart objects. Users can change the color of the included shapes or backgrounds freely. This is a minimalist Macbook Screen mockup featuring a clean design style. It allows designers users to insert their website designs with one-click. 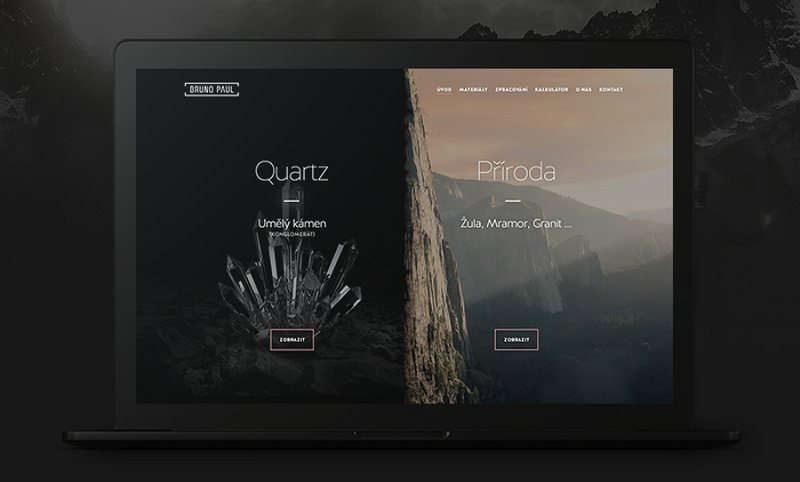 In short, it is a perfect option for you to create a minimalist website design/portfolio/ad. 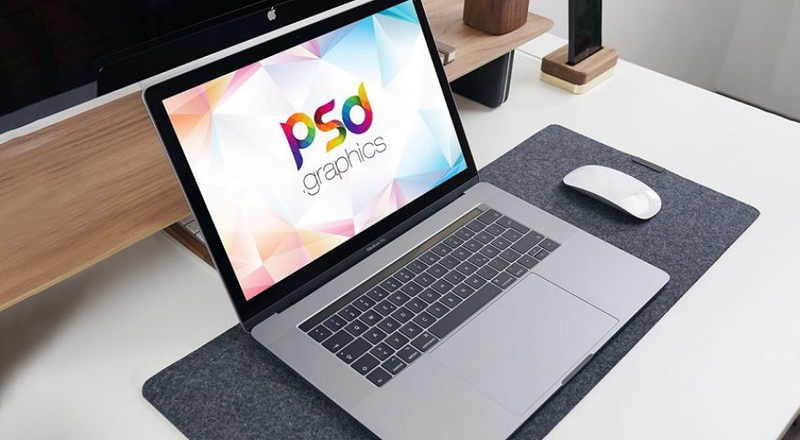 This beautiful Macbook pro screen mockup template features a flying angle design. It allows users to easily customize the background colors and element layers to create an eye-catching web design. 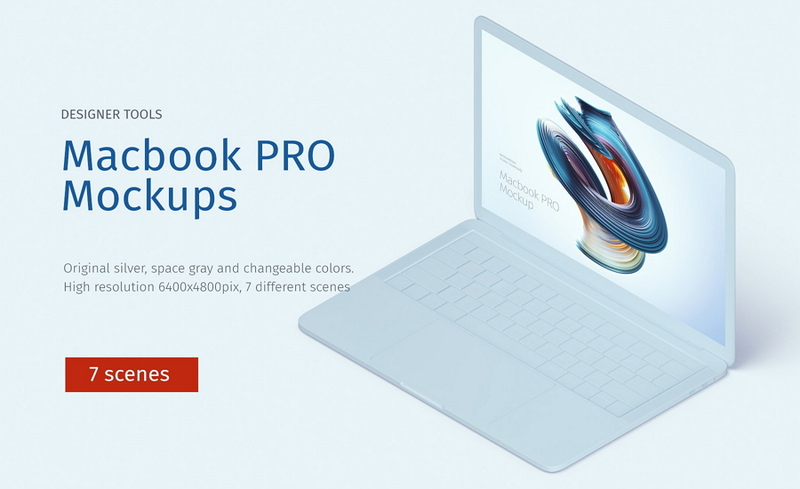 This bundle of Macbook pro mockups is packed with 7 different scenes in high resolution 6400 x 4800 px. This template comes with a silver color, but can be easily changed based on your design needs. 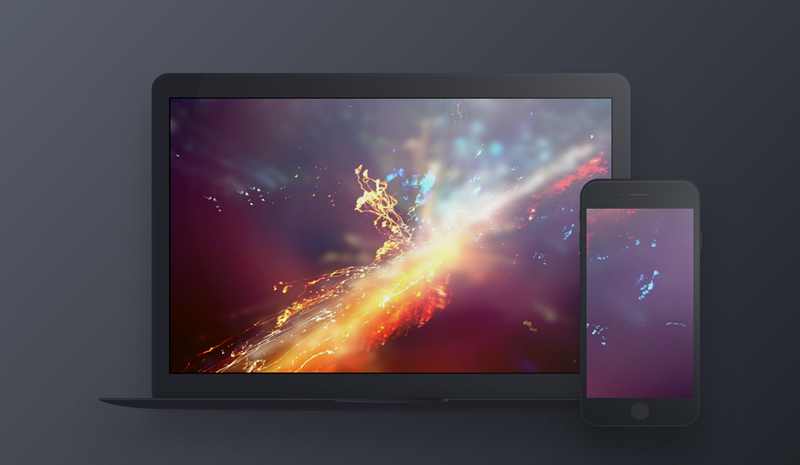 This is an Apple device mockup collection that supports MacBook, iPad and iPhone 5 devices. All mockups are designed with smart objects. You can freely edit the device screen with simple clicks. You can also use these device mockups together or separately based on your needs. 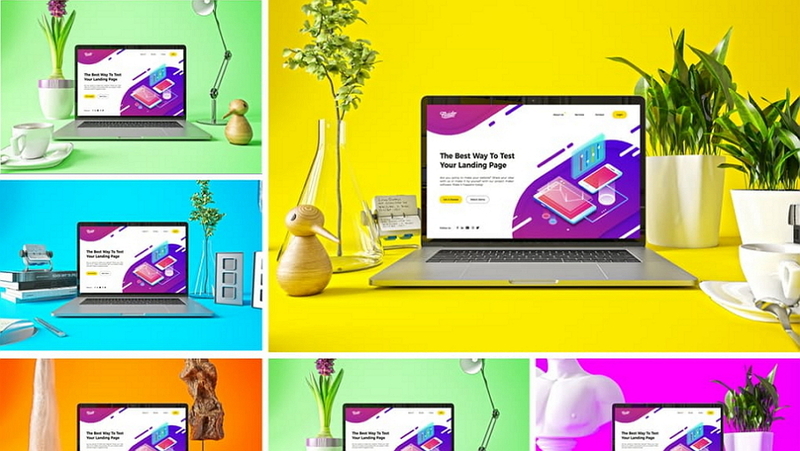 In short, this pack is a good resource for you to create website/ad designs with a good choice of devices and colors. This clean MacBook mockup sample offers designers 5 high-resolution PSD files to present responsive websites. Its separate layer sets are one of the most attractive features, allowing users to customize their web/app designs. Its rich scenario options are also worth exploring. A Help file is also included for a better UX. This is a vector and fully layered PSD mockup example with detailed, clean and outline styles. Users can customize their web or portfolio designs based on their own needs. 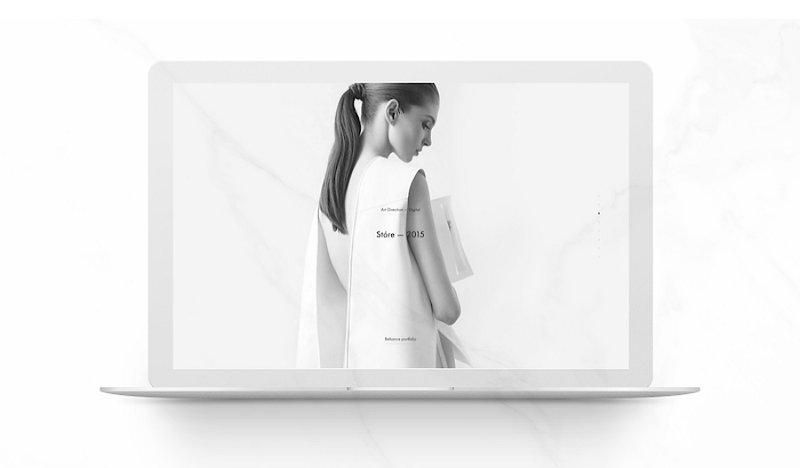 We hope this collection of the 25 best Macbook mockups and templates can help you create gorgeous website/portfolio/ad designs. As one of the most popular places for designers to share their designs and gain inspiration, Dribblem.com is a good place for designers to search and download free design resources, including Macbook mockups and templates resources. Behance.com is another important website for designers to showcase fresh design work and download different design resources for free. 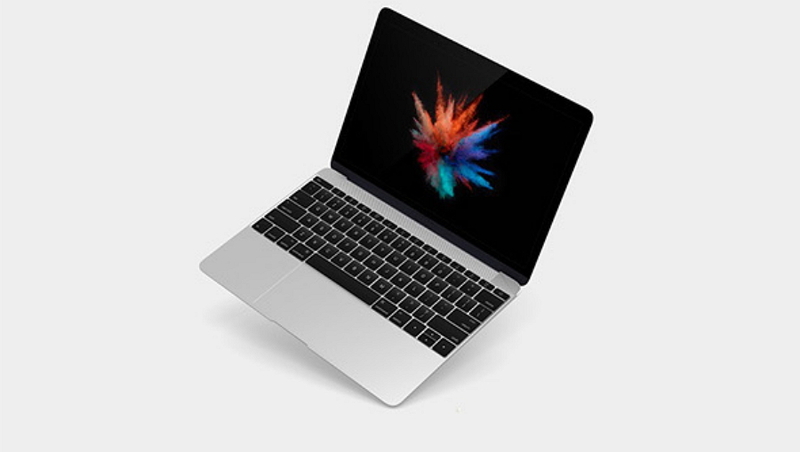 Designers can search and find desired Macbook mockups there. 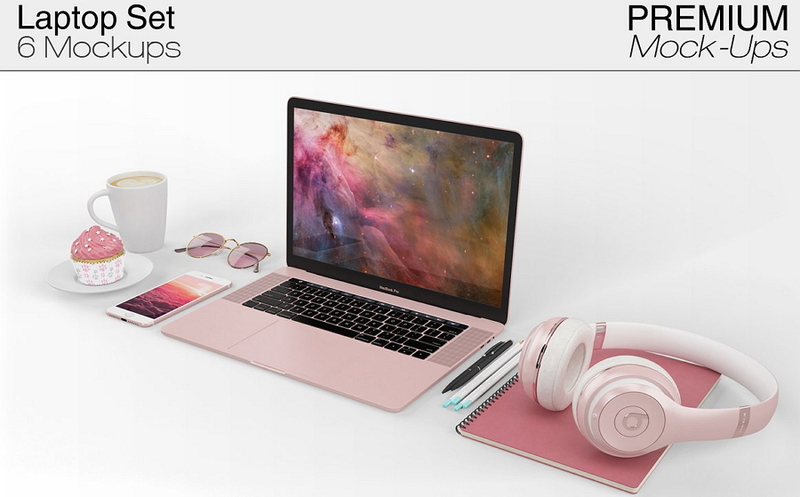 As a professional design material website, Elements.envato.com offers lots of creative and beautiful Macbook mockup templates for designers. Some of them are free, but others have a fee associated with them. Designers can download based on their own needs. Creativebooster.net is also a design resource website that lists many free Macbook mockup and template resources. Mockplus.com/blog shares different resources for designers to create excellent website/app/portfolio designs. It also offers a wide range of Apple device mockup and template resources. 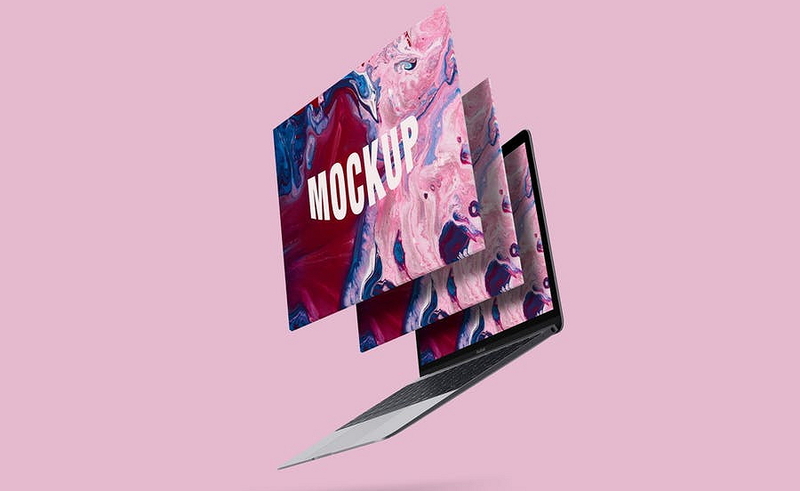 Mockuper.net is an online mockup generator that allows designers to customize their Macbook mockups or templates with simple clicks. It offers a useful mockup library for creating mockups for different environments. 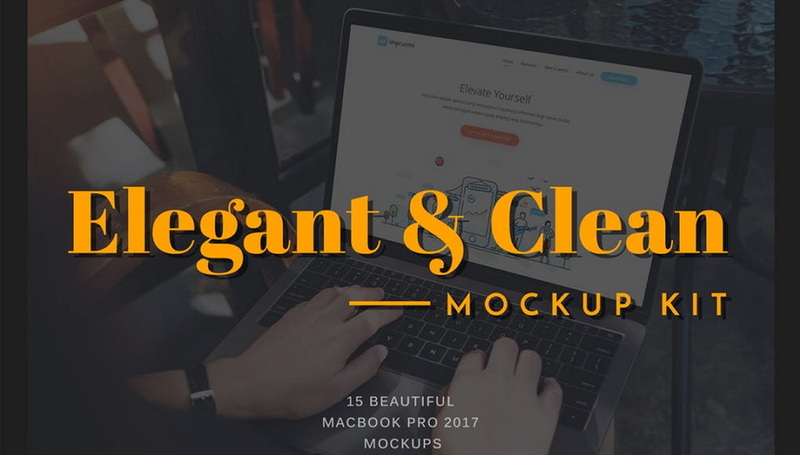 Mockplus, an all-in-one rapid prototyping tool, is also a great mockup generator, allowing designers to bring their design ideas into interactive Macbook mockups. 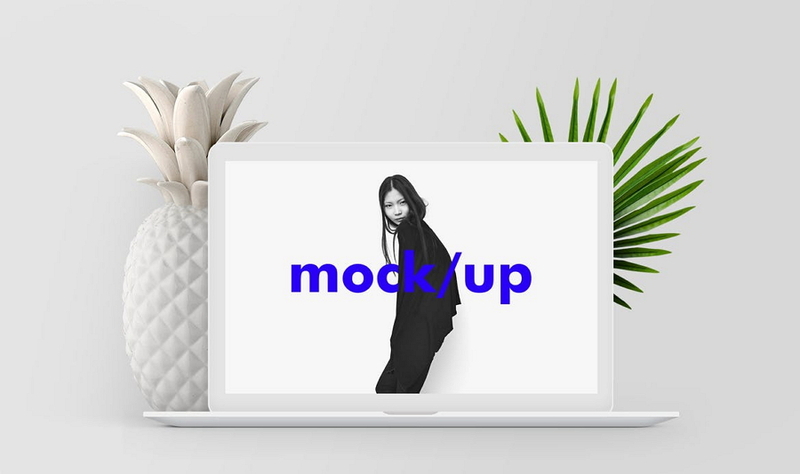 Mockplus offers designers a powerful component library, icon library and component library so that they can customize their mockups to very small detail. Of course, you can also use it to create your web/app prototypes, test and share them in 8 ways freely. This tool is another good mockup generator that enables users to create quality Apple device mockups with simple clicks. 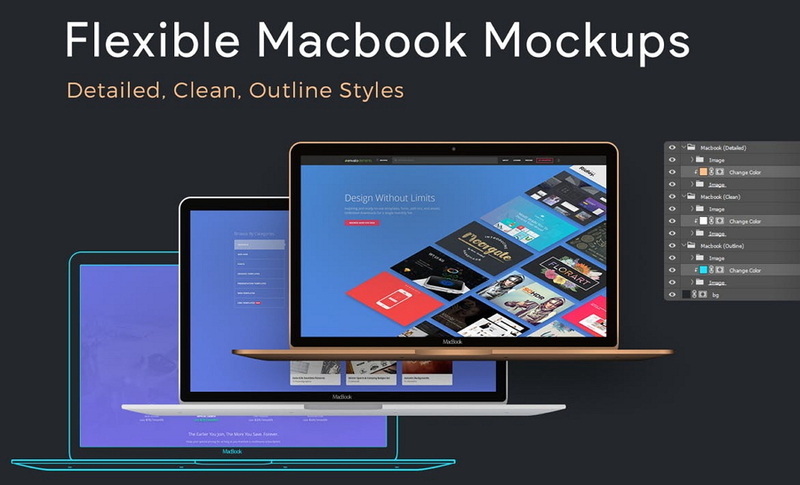 This mockup generator helps designers make perfect Macbook mockups easily and quickly. 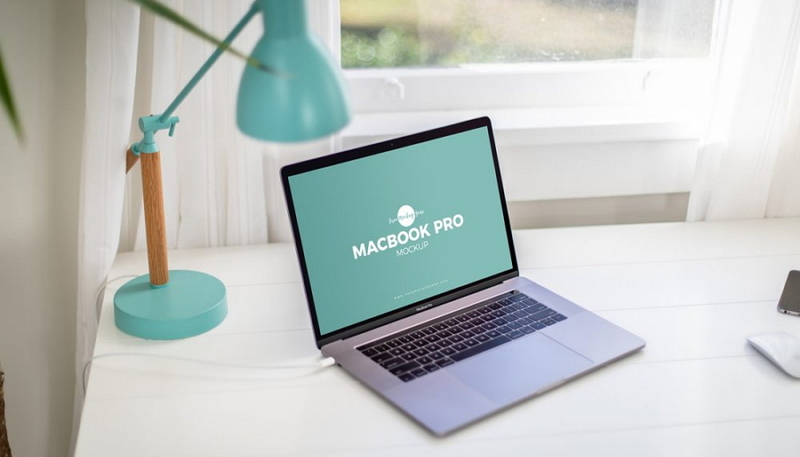 No matter what your purposes are, we hope these 25 best free MacBook mockups and templates can help you. 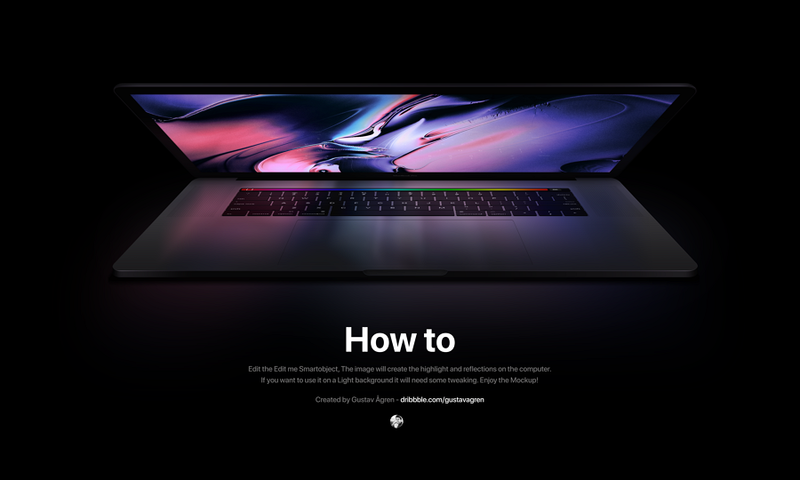 Alternately, if you merely want to review them for design inspiration, the 3 must-have MacBook mockup generators (like Mockplus) can help you create striking web/ad designs on your own.